Things that go bump in the night—and more. With the switch from silent to sound movies, a genre dawned: the Hollywood horror film. The two films that mark the dawn of the horror film as a Hollywood genre, Tod Browning’s Dracula and James Whale’s Frankenstein, make a curious pair. When I first saw them as a child, I was at once awestruck by the creaky, majestic slowness of Dracula and disappointed to find in the film so little in the way of sensational action and monster effects. No monsters locked in mortal combat tumble through a laboratory about to be flooded with water from an exploded dam, as in Frankenstein Meets the Wolf Man (directed by William Neill, 1943), and no vampire glides on a coffin-barge over misty waters toward his next bride, as in Son of Dracula (R. Siodmak, 1943). Instead, Dracula gives us a tuxedoed figure who speaks with a thick Hungarian accent and spends a lot of time glaring. Frankenstein at least had a real monster, and yet this film, too, exuded an ancient quality that set it a world apart from the other horror films I loved. In Dracula and Frankenstein we hear no “movie music,” and this registered to me not as an absence but rather as a scratchy presence that suffused everything in the films with a tangible and delicious weirdness. There was something quintessential about these horror movies as horror movies. Their luminous gray worlds and yawning silences transfixed me. This was before I knew anything about film history. To me, all black-and-white films swam in the same ocean of undifferentiated oldness (except for silent films, which came from another planet), and if you had asked me, I would have told you that the first color film was The Wizard of Oz. I have since learned that Dracula, released in February 1931, appeared three months before the end of Hollywood’s transition from silent to sound cinema, a tumultuous three and a half years that began with the release of The Jazz Singer (Crossland) in October 1927 and ended in May 1931 with the close of the 1930–31 film-release season. The classic horror cycle, beginning with Dracula and followed, in November 1931, by Frankenstein, ended in 1936 with Dracula’s Daughter (Hillyer). Here, then, are two time lines, one for the sound transition and one for the classic horror cycle, which overlap by one film—Browning’s. This overlap has not been closely considered by historians of the horror genre, who have been more apt to point out that there were uncanny, horrific, and even full-blown horror movies before there was sound film, and that these hailed from places outside the United States, most notably Germany. To be sure, the cinematic heritage of horror—to say nothing of its sprawling prehistory in literature, theater, and other media—predates sound film, and, as certainly, the fullest account of the genre’s origins will encompass cinemas other than Hollywood. But we can just as surely note that with Dracula and Frankenstein, things changed. Film critics and marketers started referring explicitly to “horror pictures,” and producers started making films with this appellation in mind. And initially, this was a phenomenon of the Hollywood cinema. That the genre’s inception fell directly on the heels of the coming of sound has been presumed to hold implications mainly for the way horror films sound. There have been asides about “things that go bump in the night” and acknowledgments that sound was needed before victims could be heard screaming. Such observations suggest that off-screen sound figures importantly in the genre and that screams, on-screen and off, represent an especially useful type of sound to horror filmmakers. Unseen bumps and audible screams—while no one would deny that such sounds are ingredients of the horror film as we know it, to recognize as much is not the same thing as identifying the major influence of the coming of sound on the genre’s initial formulation. This influence has been missed perhaps because it reveals itself more in the way the first sound horror films look than in the way they sound. Major film histories take for granted that with the coming of sound, films instantly became more realistic. More of the “real world” now was being incorporated into the total sensory package. The first Vitaphone shorts thrilled audiences with their realism, and Al Jolson’s electrifying human presence in The Jazz Singer kicked off, virtually by itself, the mass conversion to sound. The common assumption is, as Rudolph Arnheim writes in an essay in Film Sound: Theory and Practice (Columbia University Press, 1985), that “the felt presence of the events is enormously enhanced by the sound of voices and other noises.” Much initial commentary on sound films supports this view. However, evidence also suggests that a countercurrent of sensations ran underneath the exclamations of realism. In particular, something seemed to be wrong with the status of the human figure on sound film. This figure could seem ghostly—or uncanny—a perception founded on the return to the foreground of general viewer awareness of cinema’s artificial nature. By calling this impression uncanny, I mean to invoke Freud’s famous 1919 essay on the subject—although I am quite selective in my application of his ideas. In his essay, Freud catalogs impressions that can trigger sensations of the uncanny, two of which he borrows from a 1906 essay by the psychiatrist Ernst Jentsch: momentarily perceiving an inanimate object to be alive and, conversely, momentarily perceiving a living thing to be inanimate. These impressions correspond to the reception phenomenon, how audiences responded to the films, that seems to shape the initial development of the horror genre. The sensations of strangeness were temporary, but they lasted long enough to creep into some sound films. No films absorbed these perceptions more systematically and with more influential results than the first two films in the classic horror cycle. Dracula and Frankenstein earned impressive box-office returns, won critical acclaim, and “trapped” within their forms the uncanny reception energies of early sound cinema. These films also set in motion an offshoot development: horror films featuring monsters that evoked not the uncanniness of the sound transition cinema but, thanks to the diffusing lens tendencies of film reception, the uncanniness of the recently silent cinema. Two primal fascinations, then, lurked like shadows behind the first sound horror films. True to their genre, Dracula and Frankenstein capitalize on what Noël Carroll describes as an innate human abhorrence of certain kinds of category transgression. One transgression, recently and collectively witnessed by the makers and first viewers of these two horror films, concerned human figures in earlier sound films. These figures could seem both alive and dead at the same time. This sensation, although widespread, started to dissipate almost immediately, and it would trouble few viewings of Hollywood films once sound-film production practices and reception patterns became stabilized. Dracula took advantage of this fading perception to appall its first audiences. Frankenstein carried the development forward by a leap. Together, the two films converted a fleeting reception phenomenon into the solid basis for an enduring genre practice. The potentially disturbing sensations that sound film churned up would have to be neutralized before Hollywood could regain its footing as a robust and predictably profitable entertainment monolith with U.S. and world popular culture. They were the same sensations that had needed to dissipate decades earlier before the cinema could develop into a popular storytelling form. Both times, some filmmakers found ways to profit from the momentarily troubling side effects of new representational technology. 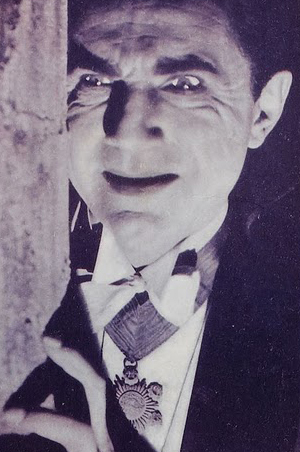 A Dracula reviewer paid this dubious compliment to director Browning: “Of all the people of the cinema, only Tod Browning, specialist in the macabre, was properly equipped to direct this grotesque, fantastic, slightly unhealthy melodrama with proper forcefulness and conviction.” Another reviewer, writing about Mystery of the Wax Museum (Curtiz, 1933), noted that “after witnessing this unhealthy film, it is very agreeable to gaze upon a short subject dealing with the wonders of Yellowstone Park.” Sound film could display a scene of natural beauty, or it could dredge up something dark and “unhealthy” out of the cinema’s past and pour that into the frame instead. In 1931, the second of these possibilities was especially, vividly clear. Horror film production stepped up after Frankenstein proved that the success of Dracula was not a fluke. Studios and independent producers launched efforts to cash in on the new public demand. Two films from 1932, the independent White Zombie, directed by Victor Halperin, and Universal’s The Mummy, directed by Karl Freund, are notable for the ways they extend and develop classic horror’s engagement with the uncanny of silent cinema. The Halperins’ film was billed as Bellamy’s comeback. A story in the publicity section of the pressbook began: “‘I pulled a Zombie,’ declared Madge Bellamy.” The story went on to explain the actress’s meaning: “Miss Bellamy had been dead for two years as far as the screen is concerned.” The film thus transfers the white zombie fictional character onto that of the production’s fading screen actress figure. When Madeline succumbs, she becomes mute, and more intriguing, Bellamy adopts what looks like a silent-film acting style for the duration of the time her character is a zombie (a state from which she awakens at the end of the film). Long stretches of the film’s narrative are accompanied by virtually no sounds and by often frenetic music. Madeline and the other soundless, whitened zombies evoke the ghostly figures in silent films. Densely laden with figurations of silent cinema, the film does not easily support an interpretation that satisfyingly pulls them all together. Instead, it is a rich and slightly demented condensation, a dreamwork, a film overflowing with meanings and sensations and one to be admired for the measure of incoherence that ultimately makes the work cohere rather beautifully and accounts for much of its enduring poetic and haunting quality. In The Mummy the elements that evoke silent films do all come together, and they do so strikingly. The film stages the most lavish and spectacular pageant of death and reanimation yet seen in a classic horror film. It distributes its narrative events across three time periods: the ancient then of Im-Ho-Tep’s lifetime, the brief now of the mummy’s discovery in 1921, and the sturdy and emphatic now of the film’s main action (and first release) in 1932. This is when Im-Ho-Tep as Ardath Bey (Boris Karloff), wrinkled and paper-dry dealer in Egyptian antiquities, emerges and tries to form a union with the living incarnation of his past love, Princess Anck-es-en-Amon (Zita Johann). But this union, the film makes clear, is not possible as Im-Ho-Tep, thwarted at the climax, turns to dust and a few bones. We can trace across this story a metanarrative development in which the fledgling star Karloff struggles to break free of the conventions of the genre to which his stardom was owed. According to the logic of the burgeoning cycle, a monster must be an undead thing and must perish, while a bona fide movie star must be able to play characters who seek and sometimes find romantic love. He must be able to play characters who persevere and prevail. Karloff appears as a conventional, if doomed and belated, romantic leading-man figure in the “silent” flashback segment of the film. His character is briefly, normally alive then. But just as time was fast-acting on the once vital world of the silent film, making it seem increasingly remote and strange, the logic of the cycle was mandating the enclosures both of the flashback segment and of Karloff’s body in the trappings of grim makeup, desiccated cloth strips, and a story about an unholy revenant. The march of the explicit narrative action dashes the hopes of Karloff the star while fulfilling the destiny of Im-Ho-Tep the monster. The Mummy displays a moment of productive tension between a new genre’s coalescing conventions. With the genre’s diversification, the uncanny body quickly became diluted as producers freely appropriated the horror label to sell a wide variety of films. As early as Dr. Jekyll and Mr. Hyde (Mamoulian), released on the last day of 1931, filmmakers daringly departed from the arguably narrow course set for the genre by its first two entries. In place of the vaguely amorous Count Dracula is a fiend who arises directly from the sexual frustrations of Henry Jekyll (Fredric March), a flawed man with good intentions, whose motivations and plight are etched in deeply psychologized terms. More variations soon followed. First National–Warner Bros. wrapped the face of a living man in synthetic flesh and spooked audiences with Technicolor close-ups of his distorted visage (Doctor X, Curtiz, 1932). MGM permitted Brown to display actually deformed persons in a fiction film (Freaks, 1932). Paramount unleashed a crazy vivisectionist who transforms animals into feral, suffering, humanlike creatures (Island of Lost Souls, Kenton, 1932). In none of these films do the monstrous incarnations at their centers evoke the dead-alive figures in early sound films the way the monsters in Dracula and Frankenstein do; and in none is the uncanny of silent films evoked as strongly as we find in Frankenstein, White Zombie, and The Mummy. The swift genrefication of the horror film meant that, as quickly, good horror films could come along that were altogether unfaithful to one of the major impulses that gave rise to the genre. Adapted from Uncanny Bodies: The Coming of Sound Film and the Origins of the Horror Genre, by Robert Spadoni, PhD’03, published by the University of California Press. © 2007 by the Regents of the University of California. All rights reserved. Spadoni teaches film studies at Case Western Reserve University.